Up-to-date technology will allow you to work efficiently and effectively while providing the convenience patients look for in a dental office. Stunning, razor-sharp images available in real-time, reduced radiation exposure, no darkroom with its hazardous chemicals, digital technology in dental is available now. Three-dimensional CBCT? Intra-oral? Panoramic? Digital or conventional? 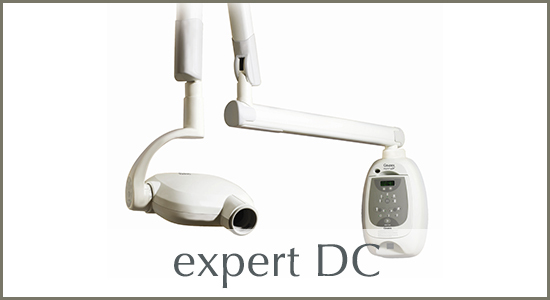 There are a host of x-ray imaging systems available from a number of leading manufacturers.Our team, working hand in hand with our manufacturer partner specialists, are available to consult on all aspects of digital imaging – from ultra-high spec CBCT 3-D x-ray systems, to phosphor plate scanners and intra-oral cameras. We have partnered with these leading manufacturers to provide the best possible advice, allowing you to make informed choices for your practice and for the future. Call us now on 08700 345 245 to inquire about our digital imaging products. This 3D X-Ray machine from Gendex comes up with Dose Reduction Technology for optimised image quality with very low radiation dose. Four individual image resolution options (Dose reduction – DRT, Standard, High Res, Endo). Maximum operational flexibility with four FOV – up to FOV 8 x Ø 15 cm (optional). Simple, intuitive operation with the new touch-panel user interface. DIRECT IMAGING FOR TODAY’S DIAGNOSTIC NEEDS. ALL OF THE GAIN. NONE OF THE PROCESSING PAIN. 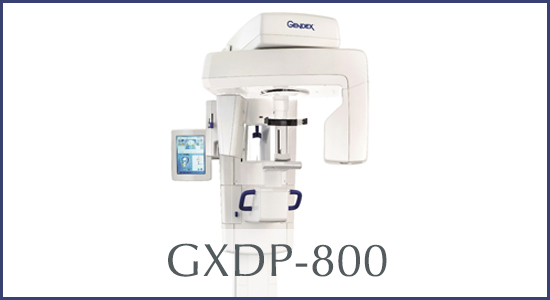 Your practice can fast track into digital imaging with the speedy, compact GXPS-500 PSP. Acquire clear, sharp images and gain fast digital scanning while keeping the office’s familiar workflow process and preserving your past investment in X-ray equipment, whether its AC or DC. Flexible and thin, wireless PSP plates match the sizes and are positioned in the same manner as traditional film. In an instant, imaging plates are converted and cleared for re-use, and digital images are ready for review and diagnosis. 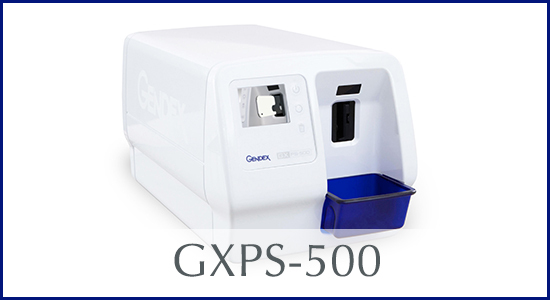 With the GXPS-500, you’ll efficiently eliminate the cost, time, and messiness associated with traditional film processing and effectively advance your practice’s technology. 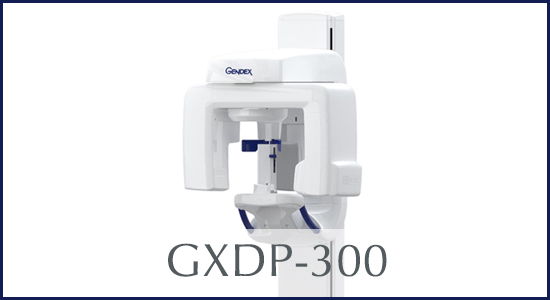 Gendex continues their long tradition of providing dental professionals with quality imaging equipment with the GXC-300 lightweight intraoral camera. 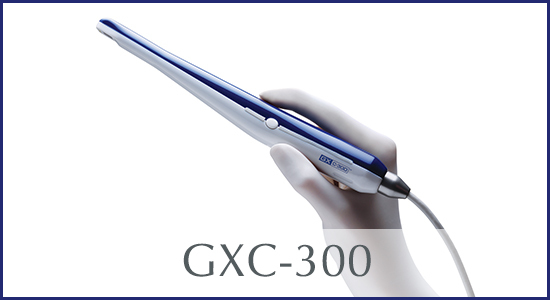 Combining the latest video technologies with the Gendex AcuCam expertise, the GXC-300 is an exceptional tool for patient education, higher case acceptance, and improved patient communication. 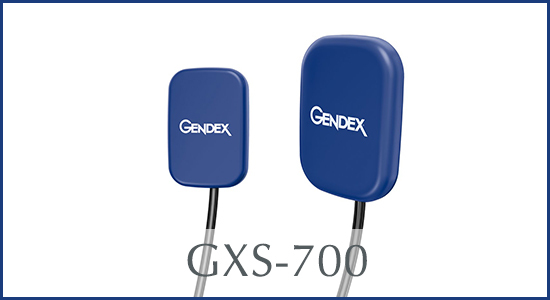 Take the GXS-700 digital sensors for a ride with this interactive 360-degree image.